Bowling is a fun pastime to enjoy with the family. It gets everyone out of the house and provides an activity in which everyone can work together to hone their skills. If this is going to become a regular outing for you and your loved ones, then collecting certain gear could go a long way toward improving your game. It can be difficult to find the perfect bowling ball, as some are just slightly too heavy while others have gripping holes that are too small for your fingers. Purchasing a ball will allow you to find a weight that works well for your style of bowling and ensure that each finger fits comfortably into the gripping holes without getting stuck. The grease from the lanes can easily build up on the surface of the bowling ball, making it feel slippery and decreasing the amount of spin in its trajectory. Wiping down the ball before each throw is the simplest solution. The microfibers in the towel remove excess oils and ensure the ball stays on its determined path. 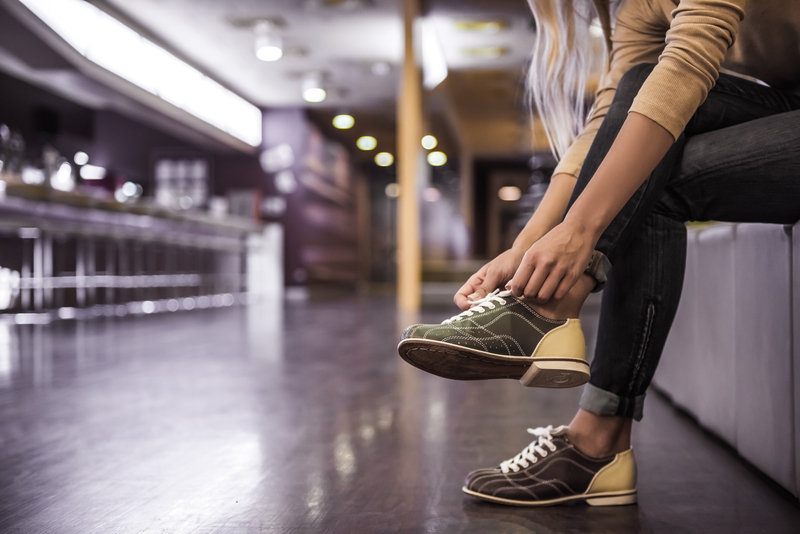 Floors in a bowling alley are slick, which can cause the tread on regular shoes to stick and put the wearer at risk of tripping themselves. Bowling shoes are specially made without tread so that a slight slide can be achieved while delivering a throw, providing enough time for balance to be regained to avoid an accident. Tossing a bowling ball down the lane can cause strain on the wrist if you’re not careful. A wrist guard supports the back of the hand and prevents it from tilting too far. Not only will this save your wrist from future injury, but it could also improve your throws by keeping the arch of movement from collapsing partway through. Constant contact between your fingers and the surface of the ball can gradually wear on the skin, causing injuries that may turn into visible scars. Taping your fingers before bowling will produce a protective barrier and could improve your grip throughout the game. Learn more about the gear that’s recommended for bowling by connecting with the professionals at Whitestone Lanes in Flushing, NY. This locally owned bowling alley has been in the area for over 50 years and operates on a 24/7 basis. Each of their 48 lanes is kept in pristine condition, and the professional shop is kept fully stocked with the latest gear so you can easily acquire all the necessities for an upcoming game. Call (718) 353-6300 to speak with a friendly staff member. Visit their website for additional information about this local bowling alley.